North Korea’s will for denuclearization of the Korean peninsula remains “unchanged, consistent and fixed,” says Kim Jong Un. 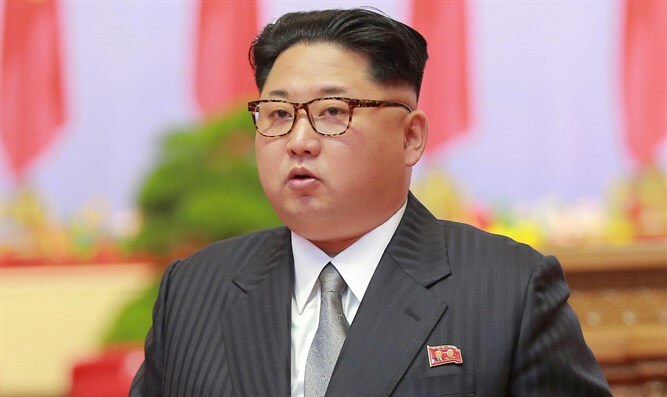 North Korea’s will for the denuclearization of the Korean peninsula remains “unchanged, consistent and fixed,” its leader Kim Jong Un said on Thursday, according to Reuters, which cited to the North’s state news agency KCNA. Kim’s comments came in a meeting with visiting Russian Foreign Minister Sergei Lavrov. He added he hoped North Korea-U.S. relations and denuclearization of the Korean peninsula would both be solved on a “stage-by-stage” basis, KCNA said. The report also said Kim and Lavrov agreed to boost exchanges and cooperation between North Korea and Russia, and also agreed on a bilateral summit this year. Preparations continue for a summit between Kim and U.S. President Donald Trump. The summit appears to be back on schedule for June 12 in Singapore just days after Trump announced he was canceling it. On Wednesday, Secretary of State Mike Pompeo had dinner in New York with a senior aide to Kim, marking the highest-level official North Korean visit to the United States in 18 years. Pompeo said on Thursday he was confident talks with North Korean officials were moving in the right direction toward a summit. “Our two countries face a pivotal moment in our relationship in which it could be nothing short of tragic to let this opportunity go to waste,” Pompeo said, according to Reuters.